After settling into our garage space, final preparations were made in the form of an alignment check, double-checking all fasteners and installing our series-specific decals. We had to hit a couple spots in our cage to pass tech. On our second run through the tech line we passed with flying colors. 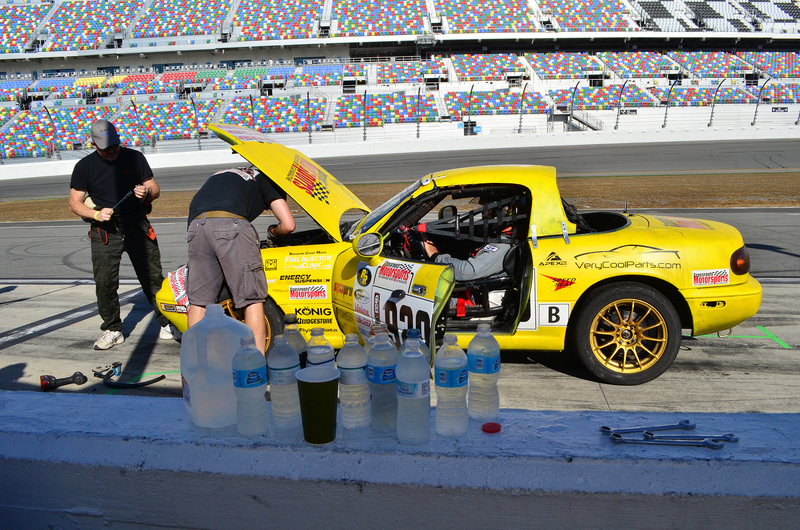 After just a few laps, the car came in with overheating issues. Armed with water bottles, we replaced the ruptured hose and bled the system. We retired and finished in second to last, but the ChumpCar staff awarded us with the "Sportsmanship Award." Morale was high. Spirits were light. We had effectively torn the car completely apart and buttoned it back up in two weeks, and we were about to start the ChumpCar RVA Graphics 14 Hours of Daytona this past weekend. 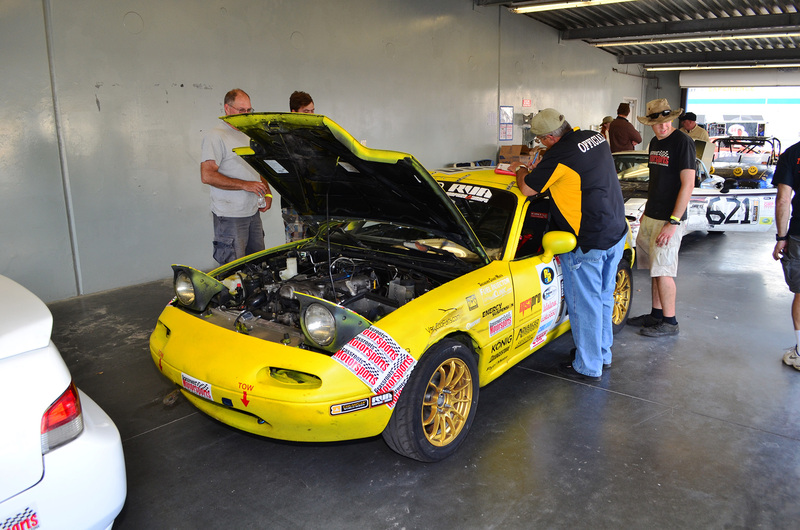 After unloading our turbocharged Mazda Miata into our garage space, we made a couple of last-minute adjustments and headed for the tech line. 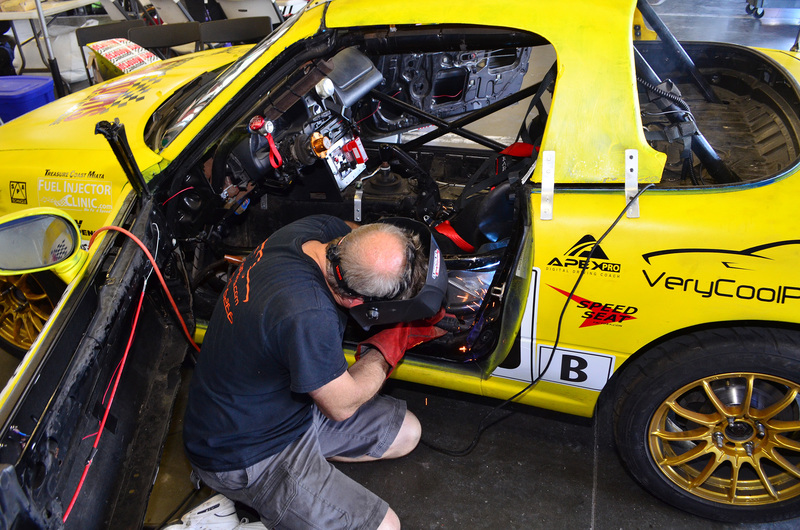 When it was our turn under the magnifying glass, ChumpCar’s tech team pointed out a couple flaws in our cage. We were a little surprised since the cage and tub had previously been assigned a log book by another sanctioning body. Here’s a lesson for us all: Never assume such vital equipment has been installed correctly on your car. Double-checking everything before you’re at the track will save you a lot of pain. In our case, we borrowed a paddock neighbor’s welder, spent about half an hour perfecting some joints in the cage, and passed tech on our second try. Fine and dandy. After passing tech, we headed back to GRM world headquarters for our welcome party. Our office was buzzing for more than two hours, while our guests went through 40 pizzas. It was definitely one of the best get-togethers that we’ve thrown at our office in the recent past. Then came Saturday, race day. It all started as planned. We made our way to grid early and were going to start the 14-hour race near the head of the field—not that starting position would matter that much in a race this long. After a couple pace laps, the green flag flew and we were underway. The car felt magnificent. Power was good: We were holding our own on the straights until we ran out of gears—which seemed to happen quite quickly. 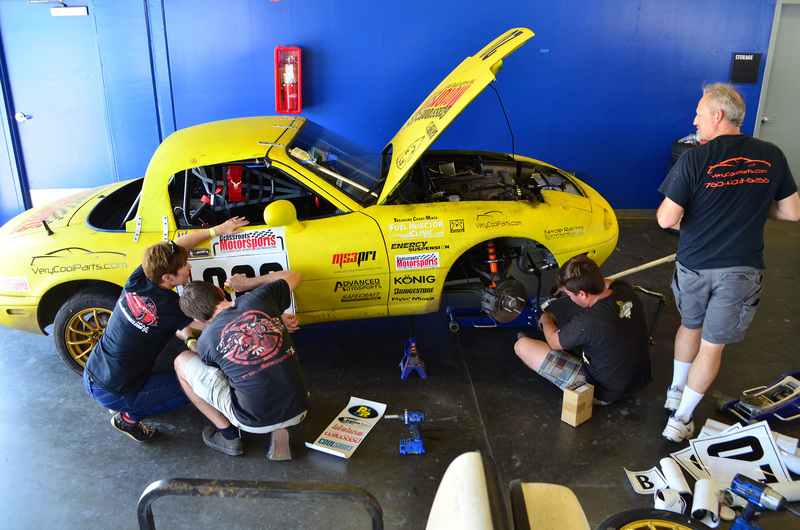 The move to stock springs and anti-roll bars created a little more oversteer than we experienced at our last race. We were running on a brand-new set of Bridgestone Potenza RE-71Rs, and they were just as good as we had remembered. Then tragedy struck. About five or so laps into the race, the first full-course caution fell. While we were moseying along under yellow with another 120 or so other cars, trouble was brewing under our hood. A coolant line near our turbocharger ruptured, we lost most of our coolant, and our engine quickly overheated. We limped the car back, unaware of the severity of the failure. We made it back to our pit stall and set to work in a frenzy to replace the hose. We quickly finished our repair work, but the damage had been done. The car could only run a couple laps at a time before overheating again. We’re pretty sure it’s the head gasket, but we’ll know soon for sure. We decided to fold before creating any slippery situations for our fellow racers. 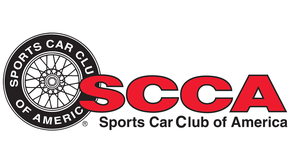 In the end we only managed 10 full laps and a second-to-last-place finish—that was 319 laps fewer than the overall winner ran in a Lexus SC300. We did manage to earn the Sportsmanship Award, though, so there’s your silver lining. The car isn’t done. 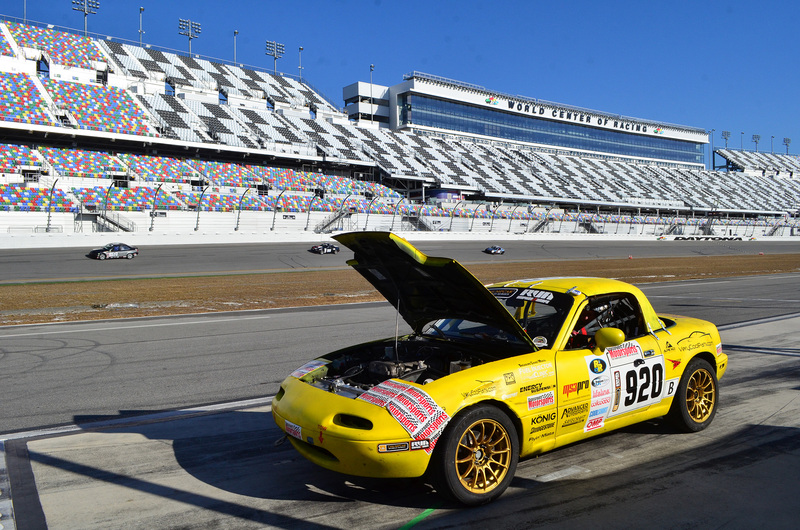 We’ll be getting it straightened out with the help of our friends at Treasure Coast Miata. 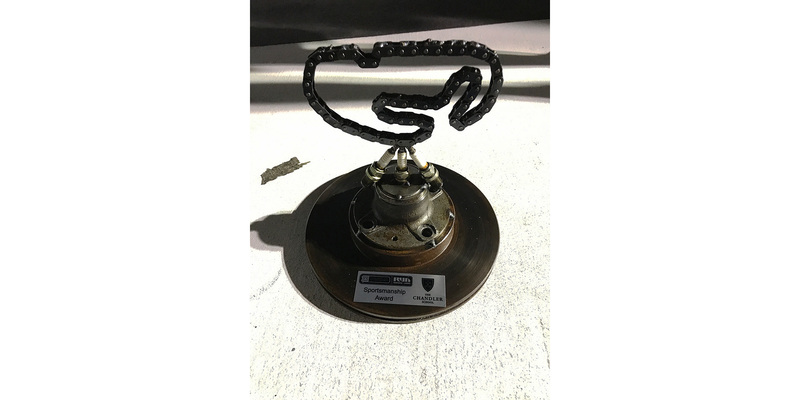 Did you receive any penalty laps with the turbo? 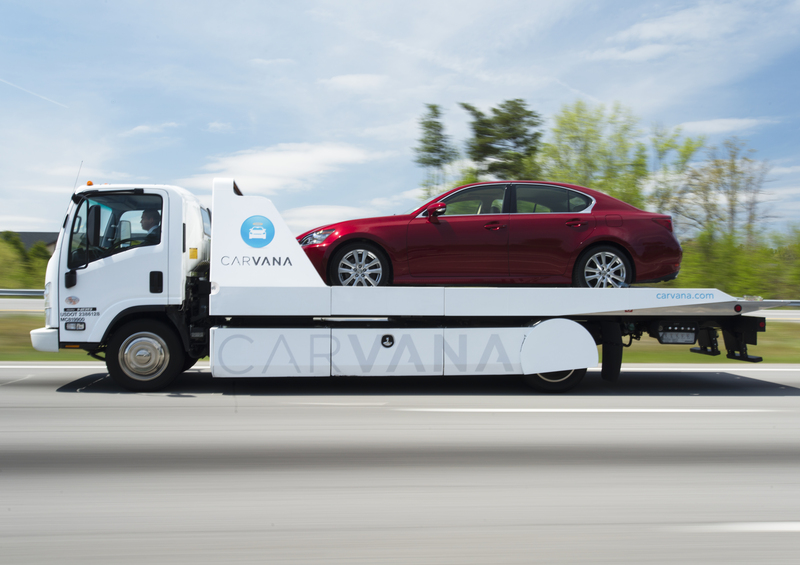 What was the cars point "valuation?" Been there done that except it involved a ten hour ride home so we scavenged the parts stores with in a hundred mile radius for head gasket and got good at changing them every three or four hours. 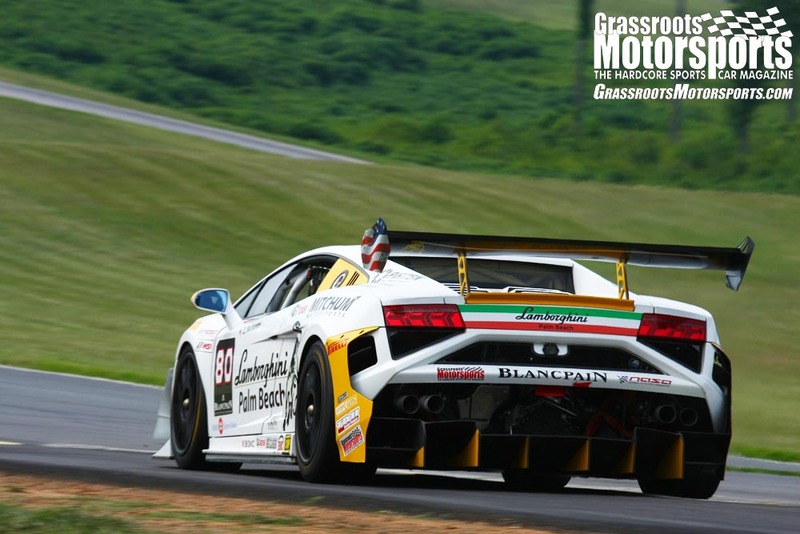 Oh the fun of endurance racing. Actually, we were at 524 points. 375 for the car, 100 for the turbo, 25 for the intercooler, 20 for the radiator, and 4 for the aluminum we used to build some radiator ducting. That meant 3 penalty laps. Sorry to hear about the misfortune! We run them at 32 psi. Any time! And if it helps, we run 2 degrees of negative camber, too. More didn't seem to help tire temps at all–these don't have the grip of race slicks to take advantage of it.